While every month has their special days dedicated to friends or different things to celebrate, July happens to be packed with special family days that include Cousin’s Day on July 24th, Aunt and Uncle Day on July 26th, and Father-in-Law Day on July 30th. Not sure what to get to remind those loved ones just how special they are to you? We have a wide range of gift ideas that offer the beauty of nature and fit within your budget. Epic Garden Joy offers an epic floral arrangement of sunflowers, lilies, and roses in a glass vase. 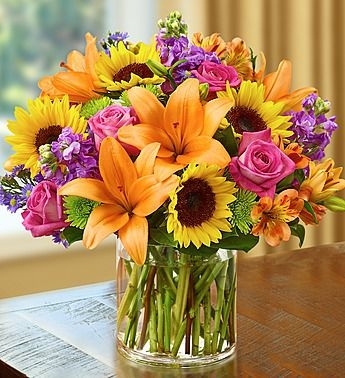 Garden Favorites Bouquet has stargazer lilies, gerbera daisies, purple stock and garden roses in a ginger glass vase. 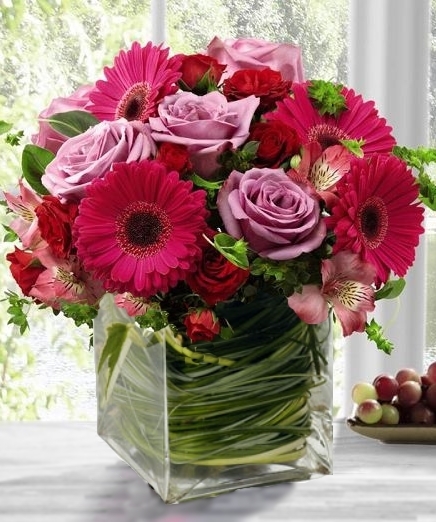 Fanciful Garden Cube is a compact flower arrangement that is bursting with garden roses as well as pink and fuchsia gerbera daisies. 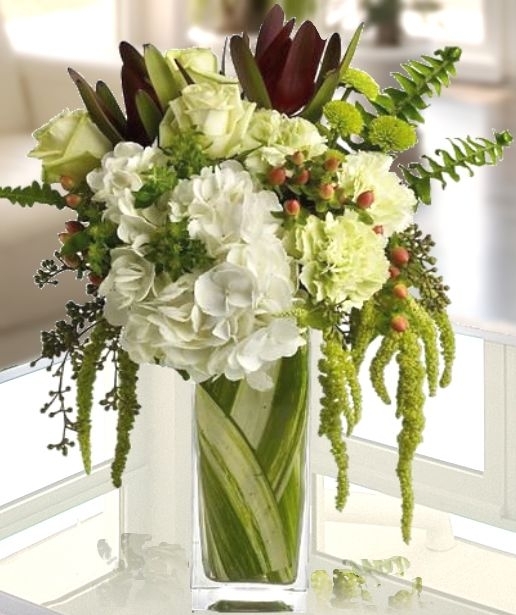 Elegant Nature’s Harmony is contained in a leaf-lined vase with white hydrangea, leucadendron, red hypericum, green roses, green carnations and hanging amaranthus that has been accented with bupleurum, sword fern, and eucalyptus. Wishes and Blessings Bouquet has yellow and white flowers that include hydrangea and garden roses. Flowering Hydrangea comes in pink or blue and offers a way to enjoy a long-lasting beautiful hydrangea plant. The Atlanta Sunflower Showcase is a newer flower arrangement that has sunflowers combined with wax flower and field asters in a contemporary glass vase. Even better than the freshness, variety, quality, and unique floral designs offered is the fact that we have put many of these customer favorites on sale. That means even more value for you and provides a way to make sure your budget has room to give all these special family members some extra love on these special July days. Of course, we also offer many gift baskets, balloon bouquets, and greeting cards in our Atlanta florist locations. You may also choose to work directly with our floral design team to create a customer flower arrangement for your loved ones. Order online, call us, or come visit any of our Atlanta flower shops today to order for local or national delivery.